Wonton is a kind of traditional Chinese food. 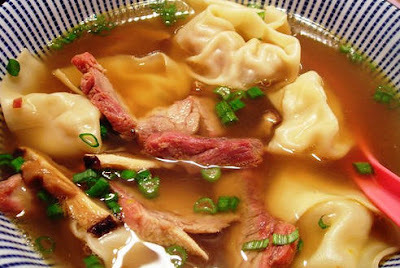 We can buy wonton easily from supermarkets, Or enjoy them easily at restaurants, or you can make them yourself at home. The Ease of Preparation: Wontons are seasoned meat fillings wrapped in dough. Compared to the dumplings, they are very easily to made, don't required any techniques. You just put one seasoned meat or other inner ingredient into the thin flower piece and give it a grips to make it stick together, then it's ok to put into the pant. Whether it’s in an evening snack, or for a delicious breakfast choice, wonton is a great way to fill the stomach or you could call it an enjoyment. Just like this healthy Diet Plan is available and prepared by certified Nutritionist.